Accident happens anywhere. We need to take precautionary measures at all times. 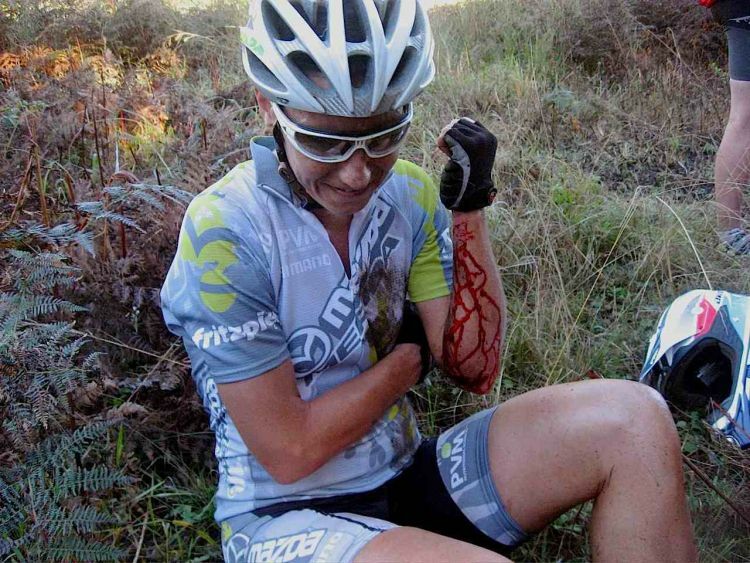 In this article, we will discuss first aid while biking on the trail. Biking is a good hobby but we cannot deny the fact that there’s also danger in it. Well, that also applies in all hobbies and activities both outdoors and indoors. It is best to prepared so we know what to do when someone meets an accident. Keep calm and stay in control – do not panic. In case of any emergency, the first thing that you should do is to breathe steadily to calm yourself. Clear your mind and know that panicking will do you no good and instead it may even cause more chaos that can worsen the situation. Look for key signs – check whether the person who is injured is breathing, unconscious or complaining of any injuries. Ask the person questions like “are you okay”, “do you remember your name”, and “do you know where you are”. It is important to ask those questions to know if the person is in his right mind and that there is no head injury. If he cannot answer clearly, it is advisable to not move him. Instead, just make him feel comfortable and go seek for help. Check for lumps – if the victim does not seem dazed and is not complaining of any injuries, then you should check and feel his neck to see if anything is out of place. Keep them laid still – injuries can speed up the heart rate. It is advisable to get the person to lay down still and help support their body. Stopping any bleeding is a top priority. If the person is bleeding from arm or leg, get the limb elevated above the heart level. Dress any wounds – according to experts, “never apply a dry dressing to a wound”. It is advisable to use a sodium chloride solution to wet the inside of the bandage and then squirt it onto the wound to wash away the dirt. After that, press the bandage directly onto the injury and apply firm pressure. If applying to someone’s limbs, it is important to remember to leave the fingers and toes exposed to check the blood flow beyond the dressing. What you should do is, pinch the fingernail or toenail for five seconds, if it takes more than two seconds to return to its pink color then the dressing is probably too tight so you should loosen it a bit. Call help – if the injury is more than minor cuts and grazes then be sure to seek for professional help. Call 911 / 999 / 000/ 112 or any emergency hotline. Do not try to move the person and do not allow them to touch the injured area. Be careful at all times and be prepared. Make sure to have your handy first aid kit with you. For convenience, stores like Chemmart Pharmacy have branches where you can order and pickup your supplies and likewise have an online version that allows you to check all available items, so can better prepare your first aid kit before heading out to your bike trail.